The EU’s Brexit strategy has toughened in the wake of Theresa May’s surprise election announcement. Ms May will question the bloc’s hardened negotiating guidelines when she meets with top EU officials on Wednesday, including European Commission President Jean-Claude Juncker. 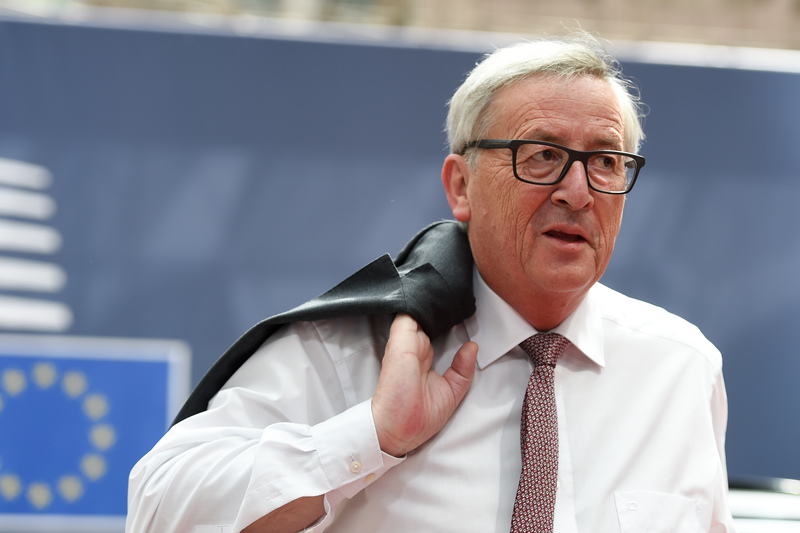 The bloc has doubled down on the UK’s financial dues, saying it’s owed some €60 billion for loan repayments and to relocate EU agencies. What’s more, the draft negotiation guidelines suggest Brussels wants the bill paid in euros, which could further deflate the pound – already down 15% against the euro since Brexit. London hotly refutes this figure. The EU also insists that the power of the European Court of Justice be upheld in the UK to protect the rights of EU citizens, which is contrary to May’s promise to remove the Court. But France’s May 7 election could throw a spanner in the works. While Emmanuel Macron is pro-EU and likely to support the bloc’s current hardline stance, a Eurosceptic Le Pen win would harm EU unity – a boon for Britain. 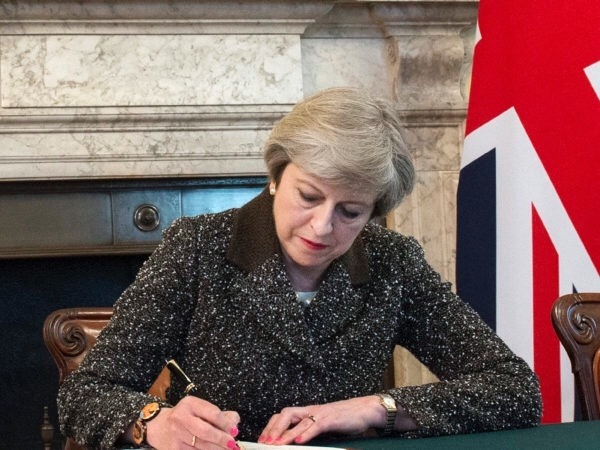 With formal negotiations not commencing until Britain’s June 8 election, there’s still plenty of time for another Brexit-esque upset. Donald Trump has promised to reveal the broad strokes of his “massive” tax reform on Wednesday “or shortly thereafter”. The announcement is expected to be short on specifics – which are still being discussed – but is expected to prioritise economic growth and job creation over deficit reduction. During his campaign, Mr Trump repeatedly promised to slash corporate tax rates from 35% to 15%. While recent reports suggest the actual figure may be closer to 20%, this still represents a significant competitive advantage for companies based stateside; the US currently has the third highest average corporate tax rate in the world. While the plan is unlikely to fully materialise for at least two months, approval by Congress – despite the body’s Republican majority – will be challenging. Conservative Republicans will be particularly irked if the tax reform plan adds to the more than $19 trillion in public debt currently held by the federal government. A proposed border-adjusted tax, which would hit imports with taxes of up to 20%, will also prove unpopular with free-trade-minded lawmakers, although it’s unlikely to be included in Wednesday’s announcement. While the tax reform proposal is unlikely to go before Congress before June, there will be little rest for Trump and his team. 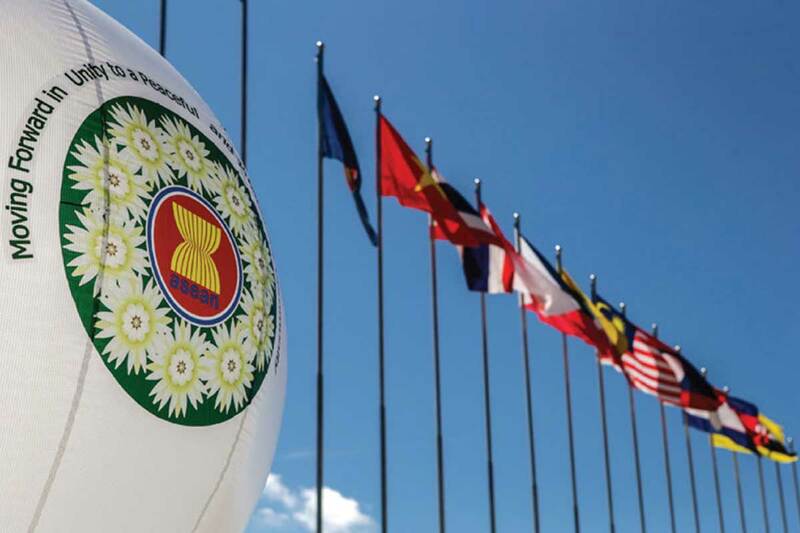 On Wednesday, the top officials from nine ASEAN nations will converge on Manila. Over four days, South East Asian leaders will tackle regional security issues, most notably the finalisation of a code of conduct for the South China Sea. A number of ASEAN members – Brunei, Vietnam, the Philippines, Malaysia and, to a lesser extent, Indonesia – contest China’s nine-dash line claim. Earlier in March, China’s foreign minister announced that a first draft code of conduct had been completed with a view to a final agreement by the end of the year. Despite this progress, as well as an international tribunal decision which largely ruled against Beijing’s claims, rival claimants continue patrols and artificial island-building in the disputed waters. ASEAN leaders will also be looking to fast-track negotiations on the Regional Comprehensive Economic Partnership (RCEP). Concerns about China’s dominance have pushed the South East Asian bloc to organise three meetings with US President Donald Trump this year – one in May and two in December – in hopes of re-engaging Washington in free trade talks. The US is currently not a party to RCEP negotiations. Zambia’s opposition leader will appear in court to find out whether a treason charge brought against him will be thrown out. Hakainde Hichilema was arrested on April 11 after months of tension following last August’s presidential election. Last week, President Edgar Lungu threatened to declare a state of emergency after public buildings in some regions were set alight, which he blamed on opposition supporters. Zambia is Africa’s second largest copper producer. Paraguay’s Congress was expected to vote on a constitutional amendment to allow President Horacio Cartes to run for a second term. Paraguay’s constitution only allows presidents to serve a single term. The move sparked riots that resulted in the country’s Congress being set on fire on March 31. Cartes has since pledged not to run for a second term, defusing tensions. If the Congress does approve the rules and Cartes upholds this promise, they could benefit former leftist President Fernando Lugo. Rallies are expected in Belarus to mark the 31st anniversary of the Chernobyl nuclear accident. While the protests are expected to be peaceful, Belarus has suffered from social unrest in recent months, which could resurface.